As physiotherapists, we understand the importance of having balance in our life so that our bodies remain in sync and functioning smoothly and efficiently. This philosophy is not just limited to bones and muscles, but also to our diet because of the fuels we require to make it through each day. Low-GI is a term that is thrown around a lot, but most of us don’t know how it is relevant to us. 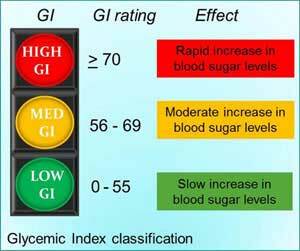 GI (glycemic index) refers to the speed at which carbohydrates are absorbed and raise the blood glucose levels in our body. 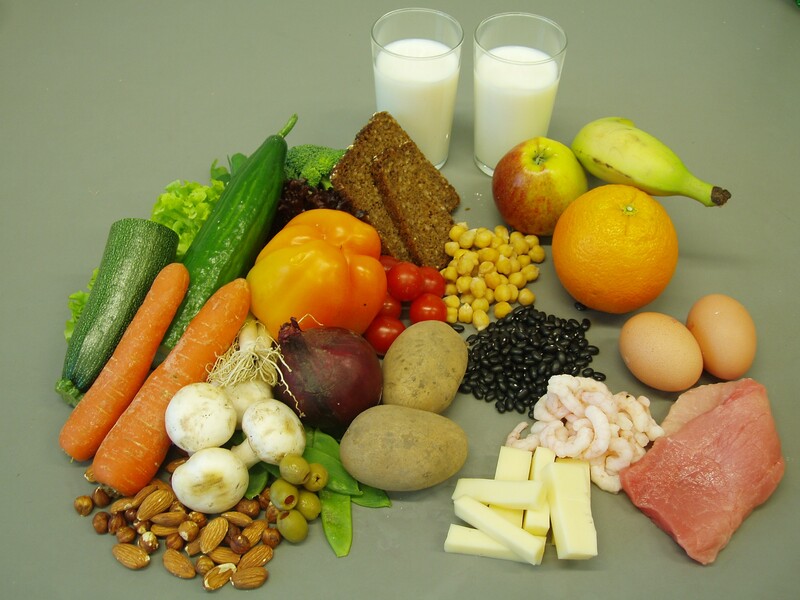 carbohydrates are absorbed very quickly and causes our blood glucose levels to spike. If something is low-GI, carbohydrates are absorbed much slower and cause a steady increase or even a maintenance of our blood sugar levels, depending on what we are doing at the time. 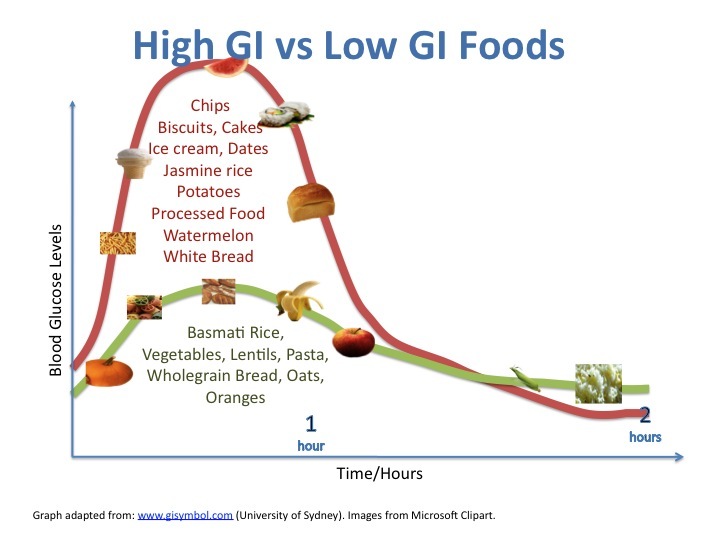 This means that when we eat high-GI foods, the glucose (energy for our muscles) is absorbed quickly into our muscles and provides a short sharp burst of energy, where as low-GI foods provide a longer lasting and more consistent supply. When our blood sugar levels rise, this sugar needs to be absorbed by our muscles as energy. When our levels spike, if our body cannot transfer the energy to our muscles as fast as it is being absorbed, it is instead stored as fat. If you consistently eat high-GI foods, there is always an overflow of energy that our body cannot use, causing an increase in your body-fat percentage. There is evidence to show that a heightened body-fat percentage can increase your risk of stroke, heart disease/attacks, diabetes, cancer and the list goes on. So before a big day, or before exercise it is recommended that you try to consume something low-GI so that your energy lasts and you don’t crash. However, these shouldn’t be the only times you eat low-GI foods, as they are the best foods for weight control and getting the most out of each and every day. When you retire, you will find you have much more time on your hands. 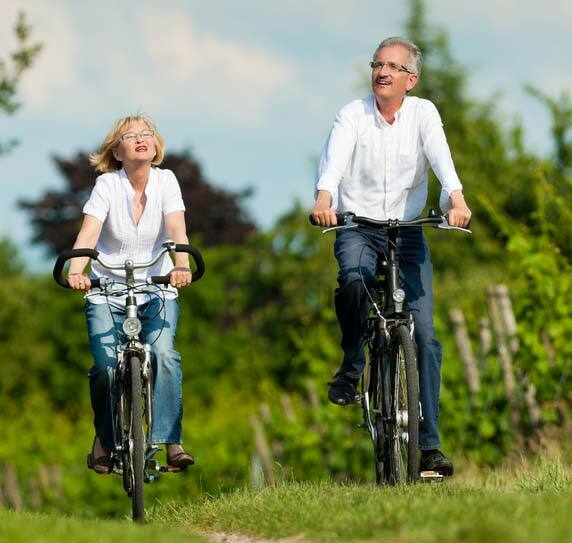 Good health begins with a good lifestyle, and below are 5 tips to improve your longevity and allow you to think, move and live well long after you stop working. WALKING is a great activity that almost everyone can do. It has many benefits including reducing the risk of heart disease and improving lung function. 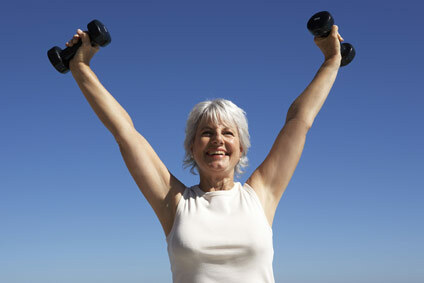 It also increases or maintains muscle strength and balance while also maintaining bone density. 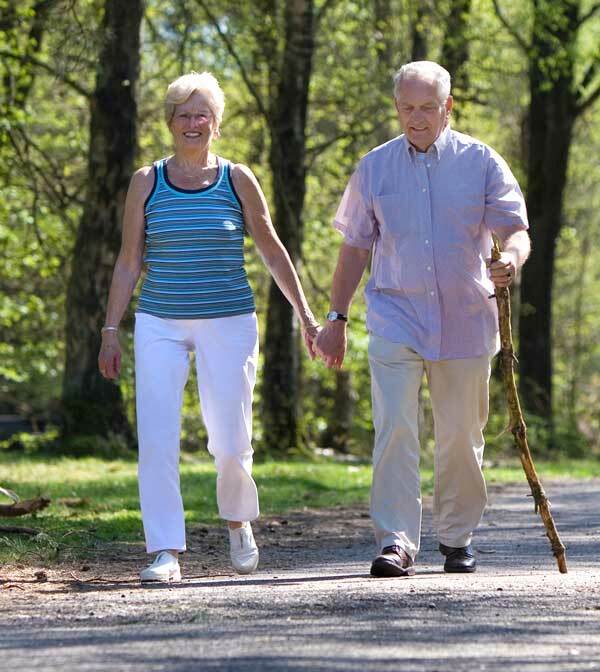 It is accessible to everyone and it is important that you add walking to your daily routine for 20-30mins. A new local walk worth trying is the loop around Narrabeen Lake which stretches for 8.5kms and has beautiful scenery! STRETCHING is an excellent way to take the pressure off your body. It reduces that feeling of stiffness by providing a greater amount of extensibility in your muscles. Incorporating a simple stretching routine into your morning routine can be a great way to start the day. The muscles to focus on include your hip flexors (front of your thigh), hamstrings (back of your thigh), gluteals (bottom muscles), neural stretches and rotating and distracting the spine. For instruction on stretches and technique, links will be provided at the end of the blog. LIGHT RESISTANCE TRAINING is a great tool for regulating blood pressure and increasing bone density while reducing your risk of falls. It also increases muscular strength and endurance which allows you to complete daily tasks with greater ease. Resistance training can be conducted through the use of resistance bands, body weight, free weights, machine weights, etc. and is recommended 2-3 times a week. Choose a weight that you can lift 12-15 times without great difficulty and complete 2-3 sets of 4-5 different exercises concentrating on closed-chain (hand/foot stay still, body moves) exercises that work all major muscle groups (legs, chest, back, shoulders). As we age, we also become more susceptible to injury so it is important to consult a trained professional to create a program that is appropriate for your age and fitness level. A BALANCED DIET is vital to looking after our bodies regardless of age, but becomes more important as our body becomes less efficient. Be sure to include a large variety of foods with emphasis on natural meats, fruit and vegetables to allow us to receive the necessary vitamins, minerals and fuels for each day. processed carbohydrates (such as white rice, white bread and fruit juices). Also be aware that you aren’t over-indulging in foods containing processed saturated fats, processed sugar, or a high salt content or by over-eating, because these can a gradual rise in cholesterol which can increase the likelihood of heart attack or stroke. FIND A PASSION/HOBBY to give yourself the motivation to keep healthy and fit. They provide you with the opportunity to be physically and mentally active on a consistent basis and as we all know if we don’t use it, we lose it! Ensure that you choose something that is easily accessible and appropriate for your physical and mental capabilities, but still challenges and engages you. Always make sure that safety is your first thought when exercising or trying something new. Try to avoid extreme conditions (hot or cold) and choose an intensity that is within your limits. If you are unsure about how to approach something, we recommended that you seek professional advice.